Welcome to our Charlotte Campus! 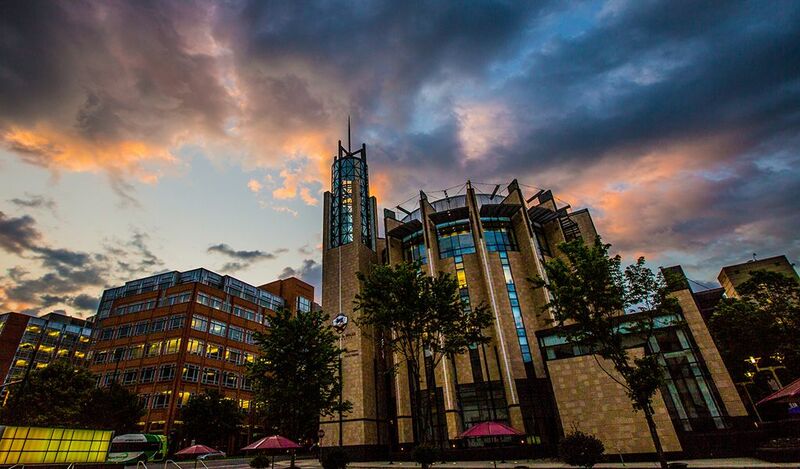 Located in the heart of the Queen City’s revitalized uptown, our compact, dynamic Charlotte Campus provides a full university experience — with the extracurriculars to match. Whether you’re a serious team player or just want to stay in shape, our athletics programs cover the bases, thanks to a growing range of varsity teams, club sports and fitness classes. Our 40+ clubs and organizations span social and cultural interests, professional development and student-run publications — as well as leadership and community service programs. You'll find a range of living options, too, including traditional halls, apartment-style suites and living-learning communities, as well as many expriential education options. JWU is also committed to making a quality education as accessible and affordable as possible, increasing institutional aid every year for the past five years. As of 2016-17, more than 99 percent of Charlotte Campus students receive institutional scholarships and/or grants from the university, and we remain active members of the community, with our students having performed more than 21,000 hours of community service in 2015-16.